We’ve had a busy summer releasing new midrange storage products including the SC 5020, SCv3000 and new Dell EMC Unity All-Flash data storage arrays. 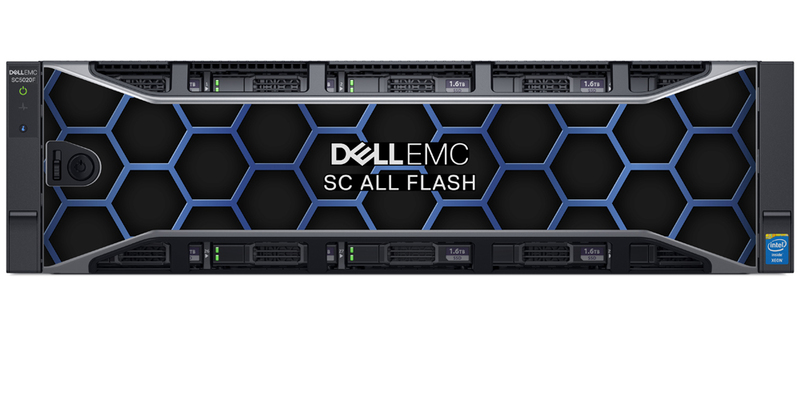 Today, we’re announcing the All-Flash version of SC Series, which makes deploying All-Flash even easier; one SKU and all-inclusive licensing. For Dell EMC Unity, deduplication is available, along with other features to simplify data-in-place migrations without any downtime. As the storage market evolves, customers are looking beyond just product innovations. While product enhancements remain extremely important, customers are looking for more. They want products and programs to ensure their technology investments solve business problems today and into the future given the rapid advancement of technology. They need a future-proof investment. We’re excited to share our innovations in both products and the best storage loyalty program in the industry. Together these can help lower the risk and cost for customers to modernize their data centers. Storage customers now get the best of both worlds in the SC Series, with both speed and intelligence. With the SC Series All-Flash, they get huge performance, up to 399,000 IOPS per array, and 3.9 million aggregate IOPS per multi-array federated cluster[i], all in an easy-to-use package. Ideal for storage generalists, because the SC Series has all the intelligence to do the work automatically, all behind the scenes, with little to no storage administrator intervention. Best-in-class data reduction is also built-in, so no special operator skills are needed. Federated data mobility, to move active or “live volumes” between systems for easy, non-disruptive workload migration is done automatically too. Just a few check boxes – that’s all it takes. Our midrange momentum continues with Dell EMC Unity, already designed for simplicity and unified customer environments. In our previous blogs, we announced deduplication was coming soon and as promised to our customers, it’s now part of this new v4.3 software release. We’re building on Dell EMC Unity’s strong efficiency and performance, where it leads the market in shipments[i]. We also put the product to the test against another strong midrange player – HPE 3PAR. 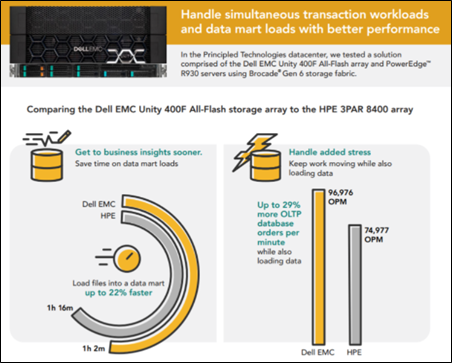 Research firm Principled Technologies confirmed that Dell EMC Unity loads data up to 22% faster, handles up to 29% more orders per minute, and requires up to 2.5X less storage than HPE; impressive results! Building on top of deduplication, new synchronous file replication is included too, giving our customers business continuity and zero data loss remote protection for users’ critical file-based data. Customers can combine file replication with block-level cloud tiering for greater data protection. Snapshots are a lower cost option than full volume copies, since they require far less space. For the ultimate in data protection, customers can leverage cloud tiering with our new Future-Proof Storage Loyalty Program. This program provides free cloud storage for Dell EMC Unity customers (SC in the future), ideal for long-term snapshot retention. Storing snapshots in the cloud is the lowest cost option. If you haven’t heard of the program, more details are available here. Rounding out the Unity OS release, new functionality now enables customers to swap in new and more powerful storage controllers while data and operations remain online and in place. This eliminates downtime and protects existing investments. Upgrades can take place from hybrid to All-Flash and operations can continue during a hardware upgrade with no downtime.